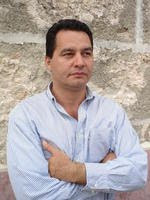 Angel Santiesteban, Havana, 26 September 2015 — Rolando never wanted wealth, depending on the point of view you look at it from, because wishing for blue jeans, a good pair of sneakers and some brand name t-shirts, carries an extra sacrifice above and beyond the daily one. It is going beyond, through “ambition,” the possibilities, that usually set or rule an average Cuban’s behavior. Graduating from nursing school, despite the terrible food that he endured at school, the little enjoyment of those youth years, and the humiliation of being financially supported by his grandmother with her precarious pension, made him walk the desired path of the “easy,” and once his Diploma was endorsed after completion of the mandatory community service required from graduates, he experienced the bad night shift hours at the Hospital emergency rooms, lousy professional rewards and underpayment, and so, among many reasons, accepted the invitation to meet an old but interesting foreigner who offered him, for one night, the equivalent of several months wages. Young Rolando is a regular on the Malecon, in clubs, gay bars, the piece of beach called “My Cayito” and many places available for homosexual gatherings. Meanwhile his nursing Diploma remains hanging on the wall. At least that way he could pay back his grandmother, who did not get to see his “profession” change or the prosperous life he’s living now. At times he takes flowers to the cemetery and softly, almost in the ear of her spirit, begs her for forgiveness. 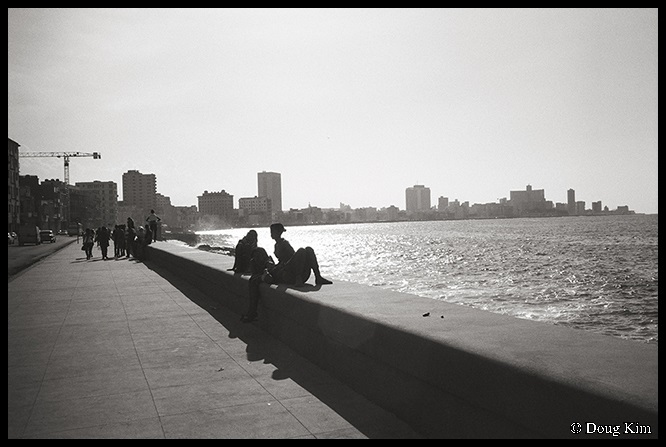 And he starts walking along the edge of the Malecon while the streetlights draw shadows he drags down like the ordeal of his own life. Havana, September 23rd, on probation.